Hedbanz is the what am I game. The only person who doesn't know who you are is you yourself - so you have to ask the right questions to figure it out. 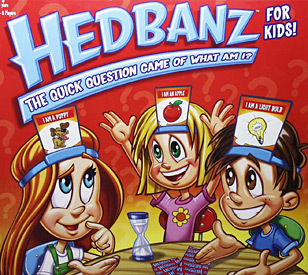 This is the kids version of the game; there is also an adult version which is based on words rather than this which is primarilly a picture (with words too).